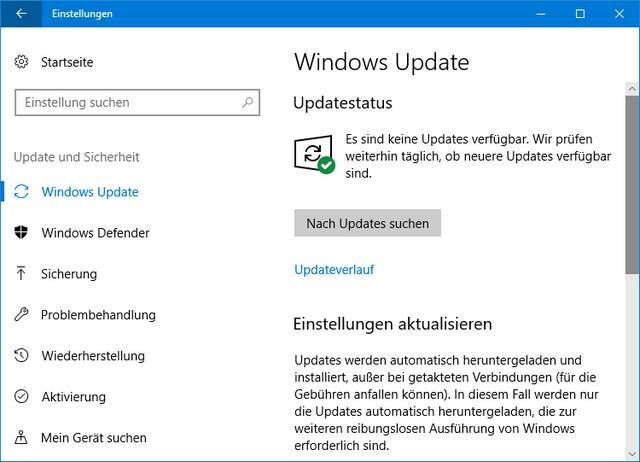 [German]On April 30, 2018 Microsoft surprisingly released Windows 10 April Update (version 1803) not only for download, but also via Windows Update. In a FAQ I would like to answer some questions (how long does the rollout take, how do I get the update directly etc.). Windows 10 V1803 announce for May 8, 2018? Microsoft announced Windows 10 April 2018 update for May 8, 2018 for general availability (see my blog post Windows 10 April Update officially announced). 30. April the update is available for download. As of May 8, 2018, the distribution will be general available via Windows Update – that was the message. However, Microsoft allows people who run the update check and have a compatible machine to receive the feature update for Microsoft Windows 10 version 1803 (April update) since April 30, 2018. There are some new features like to Timeline. At reddit.com there is a mega thread where all changes are listed. The upgrade is distributed as a feature update (an upgrade) via Windows Update. So just open the settings app from the start menu and go to Update and security. Select the category Windows Update and Search for Updates. After May 8, 2018 the feature update to Windows 10, Version 1803, should be announced automatically. If the update search does not show a function update, this is not a problem. Microsoft rolls out the update in waves. First Windows computers, which are still quite new and 100% compatible, receive the function update to Windows 10 April Update. If there are no problems there, the next device wave will enter the update cycle. If there are problems, Microsoft can stop the rollout and fix the problem first. Which computer receives the function update is determined by the telemetry data. The entire rollout can take up to three months. This was already the case with previous versions of Windows 10. The only new feature of Windows 10 version 1803 is that Microsoft uses Artificial Intelligence (AI) to identify the compatible or incompatible computers. Where to get Windows 10 April update as download? If you want to update your existing Windows 10 system immediately to Windows 10 April Update, you can download the ISO installation file and start an upgrade installation. Alternatively, you can trigger the upgrade on the existing computer using the Windows Media Creation Tool. The Windows Media Creation Tool can be downloaded from this Microsoft site. I had mentioned this in the blog entry Windows 10 April Update is here – Downloads and more. Then run the MediaCreationTool.exe file under an administrator account. 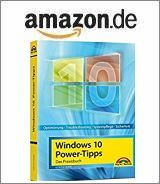 The tool guides you through the steps to download the Windows 10 Fall Creators Update installation image, save it to a USB stick or an ISO file (for burning to DVD) or install it locally. Can I download an ISO file directly? In addition to the Windows Media Creation Tool, Microsoft will also provides ISO installation files on its web servers. MSDN subscribers can download the ISO installation files from the download portal (after general availability). Downloads of ISO files will also be available in the Volume Licensing Center. If you are a normal user and would like to have an ISO installation file, I recommend that you visit the Adguard page. How to block the upgrade? Then the update should be deferred. For WSUS systems, the administrator explicitly releases the function updates for the clients. WSUS administrators, please assure that the dual scan is switched off. Otherwise, the Windows 10 clients receive the feture update directly via Windows Update instead of via the WSUS. In Windows 10 Home, the feature update must be blocked manually. I had discussed this within the blog article How to block Windows 10 updates. In this case, the feature update to Windows 1803 need to be blocked. You can also set the Internet connection to ‘Metered’ to prevent the download. Woody Leonhard has collected a few hints in this ComputerWorld article. This entry was posted in Windows and tagged Windows 10 April Update. Bookmark the permalink. Wrong question – Microsoft decided to jump on the ‘Windows as a service’ thing – so Windows 10 users (not on LTSC) have to swallow that thing ;-).